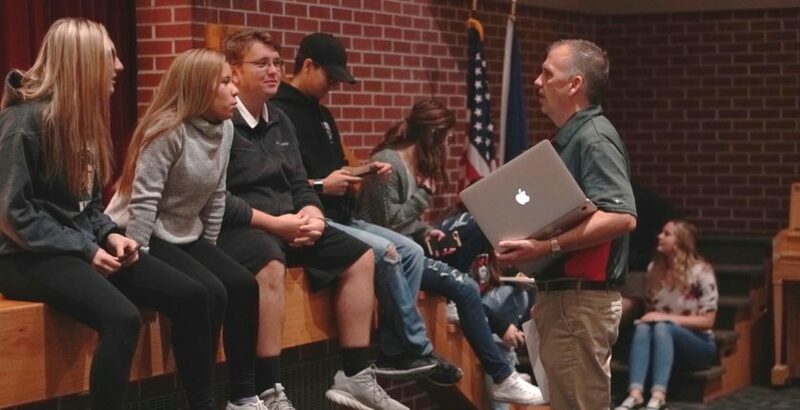 This week we want to introduce to you, Rod Havens, from Aurora Public Schools for our Teacher Feature. We admire the hard work and dedication that Rod shows for his Striv class, and we wanted you to get to know him a little more. What is your official role with Striv? Class, club, steaming responsibilities, etc. A: I have an audio/video productions class this semester that much of our Striv work comes from. Along with my journalism classes, we’ve been making short highlight videos, lead-ins, graphics and promotional stuff, as well as trying some podcasting and producing our weekly Alexa skill. 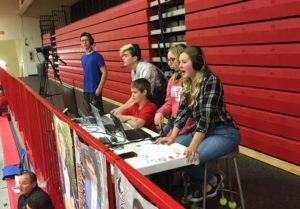 The students from these classes will also work at the live events, along with some other students who aren’t in the classes, but want to be part of the productions. What are some of your favorite things being a Striv/Class Intercom school? For Rod, being a Striv School has been a rewarding experience, not just for him, but also his students. A: One of my favorite things about working with students on Striv is that everyone can be a part of the team. 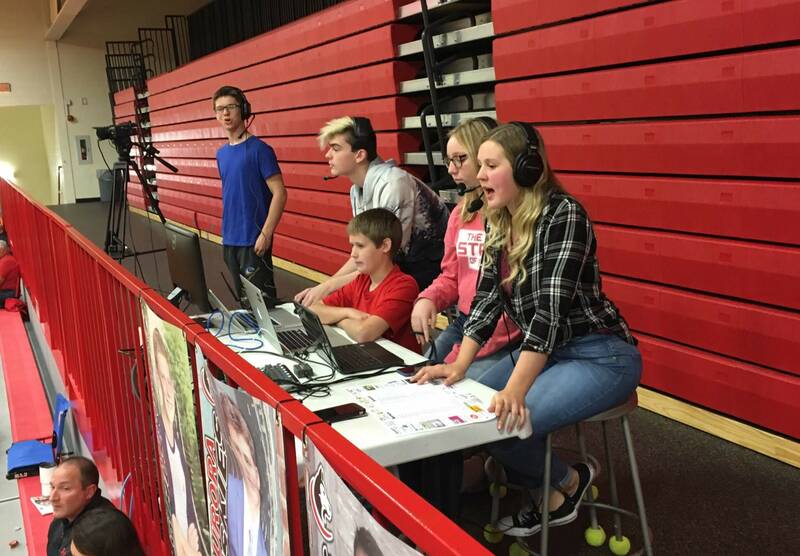 We have students involved in our live stream who aren’t really involved in any other activities that are now part of a group. They’re on the team! They can run a camera, do graphics work for pre-production, be the play-by-play announcer. There’s a role for everyone, and seeing a diverse group of students working together is amazing. What is one short story you can share about how being a Striv School has positively impacted your community? 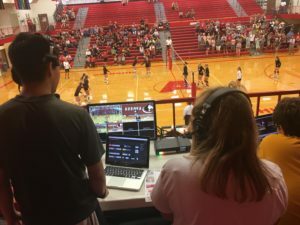 Live streaming doesn’t just impact your students either, Rod has found that streaming gives the community the opportunity to be involved with the school as well. A: Without referencing a specific incident, I think the positive impact Striv makes with the community comes from the connection it provides. Beyond the athletic events, we stream our Veterans’ Day program and we’ve gone live for our Heroes and Huskies presentations at the Plainsman Museum that tells the stories of local veterans. Our teachers are asking if we can stream and record student presentations for their classes, giving students an audience beyond the school walls. There always seems to be some new way we can bring what’s happening at Aurora High School to our community. What is one important thing that being a Striv Teacher/Mentor has taught you personally? Personally, Rod has found that that being a Striv Teacher has impacted more than just people who join in on the live streams. He thinks that he also finds a value for himself. A: I think one of the most important things I’ve learned, being involved with Striv, has been to give students room to run or to try something outside their comfort zone. I want kids to take risks. They have a lot of great ideas and to give them the time and space to pursue some of those ideas gives them more confidence and gives them ownership of what we’re doing. I love saying “Yes, let’s try that!”–giving them room to try, and perhaps fail, but then try again. What’s one of your favorite things to do outside of the classroom? A: If I’m not in the classroom, I love being outside. I’m often working in the yard or playing with our two yellow labs. My family has a passion for baseball, so in the spring and summer you can find me at the Legion ball field watching my sons play and if time allows, we might try to get out on the boat and go fishing. We love celebrating our Striv teachers, and Rod is a great example of an extraordinary teacher, mentor and individual! Thanks for sharing your story with us!